Apple Chief Operating Officer Tim Cook said on Tuesday the company believes that some of the millions of customers that bought an iPad last quarter did so instead of buying a new Mac. “It’s clear that some customers chose to purchase an iPad instead of a new Mac,” Cook said on a conference call with analysts. However, he said, “even more customers chose to purchase an iPad over a Windows PC,” adding that there is a lot more Windows PC business to cannibalize than the Mac. Apple said it sold 9.25 million iPads during the quarter that ended in June — representing every tablet it could build and get to market. Channel inventories of the iPad also remained below normal levels as of the end of June, Apple said, though Cook noted that in the first weeks of July the company has begun to reach a balance between supply and demand on some models and in some countries. 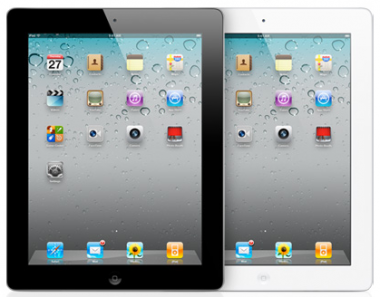 Demand for the iPad has been exceptionally strong across business, consumer and education markets. Apple said that last quarter, for example, it sold more iPads than Macs to the K-12 education market. “We would have never predicted this,” Cook said. Although Mac sales weren’t as strong as some analysts had hoped, they were still up 14 percent from a year ago — more than quadruple the 3 percent PC growth rate during the quarter, as estimated by IDC. Cook said that there were probably a few factors dampening Mac sales, of which the iPad was just one. Some buyers, he noted, were probably waiting for Mac OS X Lion, the next version of the Mac operating system, whichApple confirmed will go on sale on Wednesday. Despite the strong iPad growth as well as strong sales of the iPhone, Apple did forecast a decline in sales and earnings for the current quarter, regardless of the fact that the September quarter is nearly always stronger than the June quarter. Apple did say that among the reasons for its guidance was its forecasted impact from a “future product transition,” most likely the forthcoming iPhone update. Of course, Apple is also known for reporting blowout results and then giving exceedingly conservative guidance for the coming quarter.